On the 21st of February 2017, Giulia Marrani, Ellie Bracey and Jessica Tarbet dressed as Harry Potter characters to raise awareness for Cancer Research. 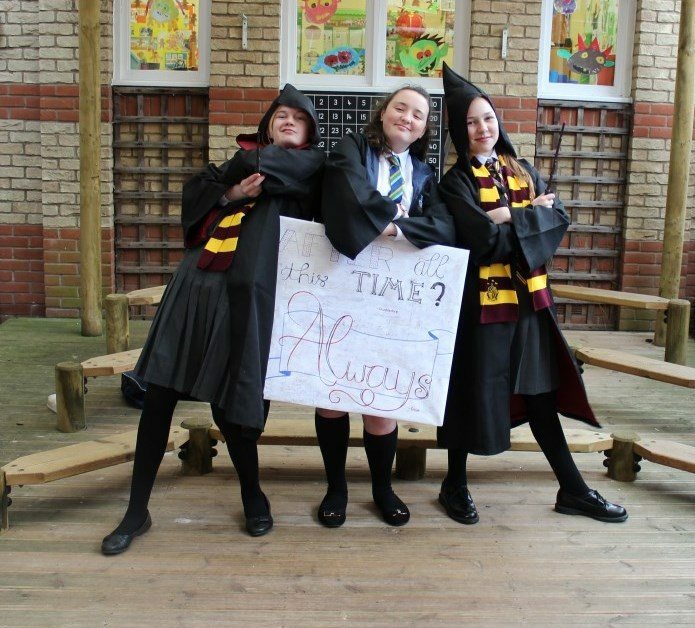 The Year 8 CHS pupils chose a Harry Potter theme as the 21st of February would have been the birthday of Alan Rickman, who played Professor Snape in the Harry Potter films and who lost his life to cancer last year. The girls are hoping to raise money for Cancer Research by holding a coffee morning after the Easter holidays.